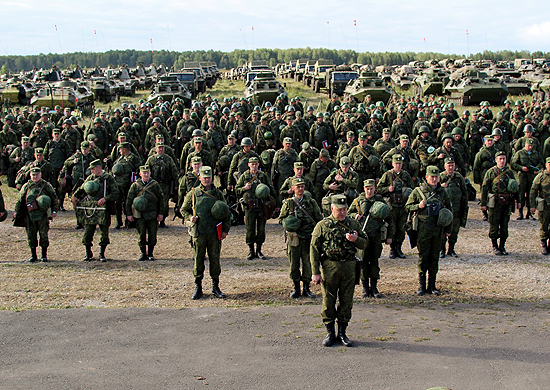 Aleksandr Golts is a formidable critic of Russia’s Defense Ministry. If only the MOD had a proponent to match wits with him. Golts’ latest appeared in Ogonek on 2 September. 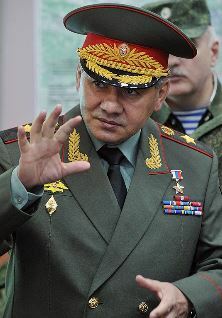 He gives his view on what is getting Defense Minister Sergey Shoygu’s attention. ¹Not necessarily reverent scrapbooks conscripts have traditionally assembled about their service time. Under Sergey Shoygu, the Ministry of Defense looks more and more like MChS. 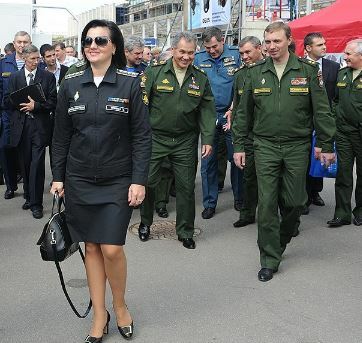 Shoygu’s apparently decided to put his senior civilian officials in uniform. 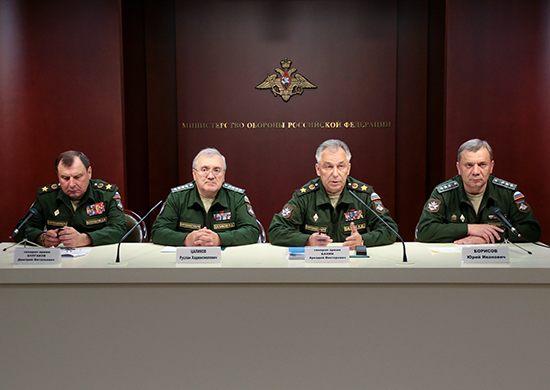 Deputy Defense Ministers Ruslan Tsalikov and Yuriy Borisov were photographed in their new apparel during last week’s conference on the results of the most recent surprise readiness evaluation. At the tank biathlon in Alabino, Tatyana Shevtsova and Anatoliy Antonov were caught wearing theirs at the right edge of this photo. Like Tsalikov, Shevtsova (who somehow managed to hang on after Serdyukov’s demise) also wears four stars based on her civilian rank. It looks a bit like either the USAF or the starship Enterprise has come to visit. At any rate, Izvestia wrote about the new uniforms. It notes the zippered jackets look like MChS, and are supposed to be more comfortable work-a-day attire for civilians and military men alike. But one anonymous senior officer said the material feels like overalls, and he’s generally not won over at this point. A strange and ironic title. “Do Ask, Do Tell” might be appropriate too. By chance, two recent articles focused on the Main Directorate for Personnel Work (GURLS or ГУРЛС). Information at Nezavisimoye voyennoye obozreniye’s disposal indicates Defense Minister Shoygu will reorganize GURLS into a Cadre Policy Department (DKP or ДКП), like what he had at MChS. The change would encompass everyone working with personnel issues, military education, and psychological evaluation and treatment. Author Vladimir Mukhin concludes the Defense Ministry’s personnel structures haven’t been effective during the entire post-Soviet period. But former Defense Minister Serdyukov, in particular, had little use for personnel work. He dismissed the last chief of GURLS, and left the post vacant. The chief before was convicted for bribery and sent to jail for seven years. 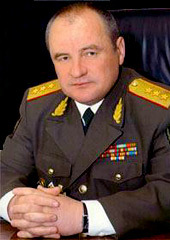 Serdyukov cut personnel work officers by a factor of three, sold off cultural-educational institutions in large garrisons, and was prepared to privatize major facilities reportedly worth “several billion dollars” — the Central Academic Theater of the Russian Army, the Cultural Center and Museum of the Armed Forces. The article in Izvestiya is much more interesting. Its headline says Russian officers are obligated to determine the sexual orientation of their soldiers (among other things). This comes from “methodological recommendations” codified by GURLS at the end of last year. They cover the spectrum of psychological work with young soldiers, from counteracting “barracks rackets” to national [ethnic] and religious issues. As they put it, “disorderly sexual relations” qualify as a sign of nervous-psychological instability on par with alcohol addiction, running away from home, suicidal tendencies, and stealing. Officer-educators (officer-indoctrinators) should get to know a soldier, ask about his sexual experience, if he has a girlfriend, and whether her fidelity is important to him. He claimed he had one gay contractee who came to the army looking for more partners. Other officers told Izvestiya they aren’t in a hurry to follow GURLS’ guidance. 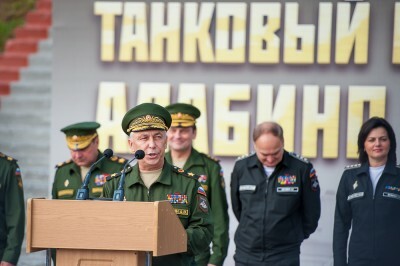 Before Serdyukov introduced the “new profile” reforms, companies had deputy commanders for indoctrination work, and battalions still had a staff psychologist. Now there’s only the deputy battalion commander for personnel work, and companies have four officers — the company commander and three platoon commanders.